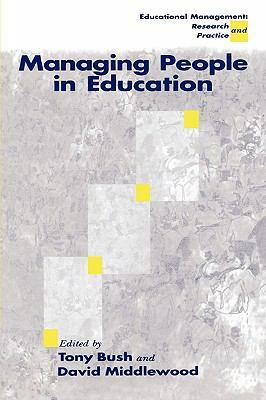 'Aims to enhance management practice in education by presenting research findings and theory from a wide range of contributors' - Skills and Enterprise Update 'This is indeed a book which could be useful to a much larger readership than the normal closed circle of those working in education' - Managing Schools Today The book presents relevant research and theory in order to enhance management practice in education. The editors' intention is to articulate good practice on the basis of evidence in educational settings. The ideas presented here are derived from international research and practice and apply to all phases of education, with the emphasis on applying research findings tBush, Tony is the author of 'Managing People in Education' with ISBN 9781853963360 and ISBN 1853963364. Loading marketplace prices 82 copies from $1.98 How does the rental process work?